Little is the female version of Tom Hank’s movie Big but bolder and over the top. 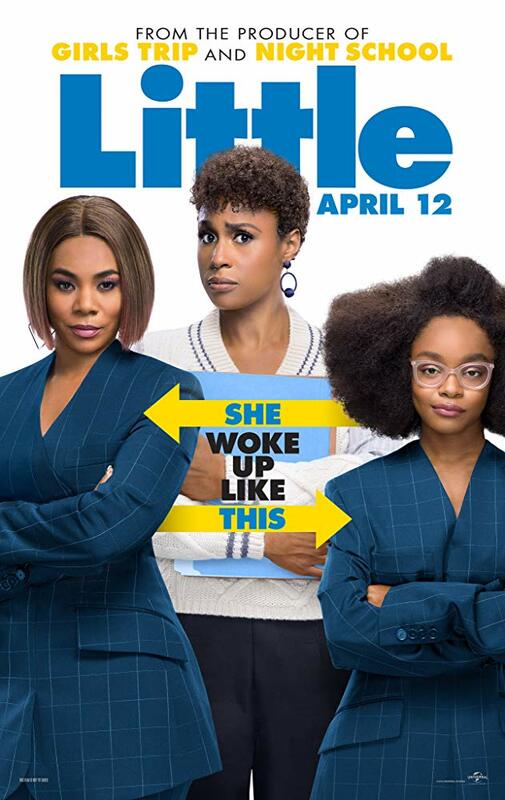 Starring Regina Hall as the mean and ruthless Jordan Sanders finding herself waking up as her ‘little’ self and struggling to adjust to being a 13 year old teenage again reliving all the times she was bullied but determined this time to not suffer the same fate. The film is often laugh out loud funny to awkward silence but overall funny and well-acted. While the storyline isn’t original the inclusion of such great comedic talent like Hall and charismatic Issa Rae adds a light hearted and sometimes cheeky factor. Rae plays April Williams the shy and reserved personal assistant to Jordan Sanders who finds herself having to come out of her shell and ‘babysit’ the little Jordan Sanders who is played by the talented Marsai Martin. The banter and chemistry between the two ensures plenty of laughs and lifts the movie to a fun level. Little Jordan finds herself back at school and back to reliving the bullying she endured when she was young the first time. She was determined not to experience the same treatment again. Making sure life as a 13 year old was going to be different big Jordan finds herself learning some valuable lessons while she is back to being little Jordan. It’s a movie of lost innocence and self discovery for all the characters. While this movie doesn’t cover new ground and at times you find yourself a bit lost, it does have enough laughs to warrant a visit to the cinemas to see it on the big screen. The performances by Martin and Rae alone are funny enough to have you laughing in your seat.